Physical education is now viewed as an expendable part of the school curriculum. Yet there is no question that children need to be physically active to not only stay healthy and reduce their chances of becoming an overweight adult, but also to perform well in school. Where Have All The P.E. Classes Gone? With increasing pressures to improve standardized test scores and reduce budgets, schools across the country have virtually eliminated physical education programs. In fact, as of 2006, only 3.8% of elementary schools and 2.1% of high schools still offered daily physical education classes. This is particularly discouraging given the growing body of scientific evidence linking regular participation in physical activity with improved academic performance. 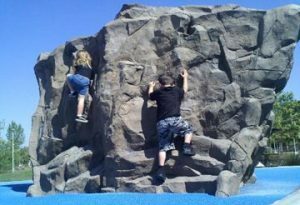 • Nearly 250 elementary students given a daily 10-minute activity break increased on-task behavior by an average of 8%. • A U.S. study of almost 12,000 adolescents revealed that, when compared to their sedentary peers, students who participated in P.E., team sports or played sports with their parents were 20% more likely to earn “A’s” in math or English. 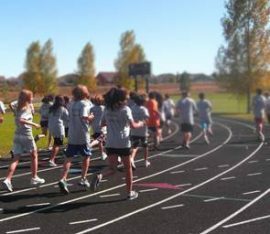 • The fitness levels of more than 300 middle school students were evaluated and those who were the most fit also performed better academically. • An analysis of the standardized fitness and academic test results for nearly 900,000 students revealed a strong positive correlation between physical fitness and academic achievement. • Additional research suggests that, compared to control groups, students who spend more time in school-based physical activity or P.E. (and therefore less time in the classroom) actually maintain or improve their grades and standard achievement test scores. • Dr. John Ratey writes in his book Spark: The Revolutionary New Science of Exercise and the Brain (2008, Little, Brown) that levels of neurotransmitters, including dopamine, serotonin and norepinephrine, also are elevated after strenuous exercise, helping to increase focus and induce feelings of calmness.